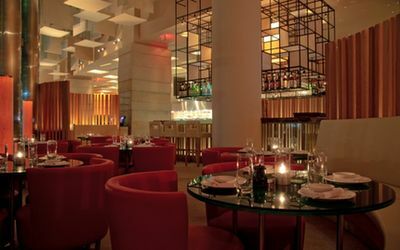 There are a plethora of really awesome restaurants throughout Miami that it can make a visitor’s head spin. One of the best ways to find the hottest dining establishments with the most delicious food is to talk to a limousine driver. When you call to book your airport transportation service in Miami, you can ask which places are the best for dining. Luxury transportation companies know everything about the city. This way you can make your dining reservations early to ensure you can get in. Luxury Transportation Group is the premiere provider of high end, discreet, luxury transportation services for Miami restaurants. Orlando is the most visited city in the United States with nearly sixty million visitors each and every year. While the city is well-known for its exciting theme parks, there are also some really great dining options. Generally, the hotel concierge only suggests dining establishments they are associated with. The company that is providing your transportation services for restaurants in Orlando will be happy to make you aware of the trendy dining spots in town. A limo driver will help to keep you safe if you opt to have a drink or two. Luxury Transportation Group offers high quality transportation services for restaurants in Orlando. New York City is home to many wonderful things for both residents and visitors to enjoy. One thing that most people look forward to is the great dining options available in the Big Apple. You can find any kind of food under the sun, from Asian delights to foods from Zimbabwe and everything in between. Of course, most of these restaurants offer a wide variety of alcoholic beverages for their customers to enjoy. While restaurants and alcohol are abundant in New York City; parking spaces certainly are not. This is especially true when it comes to popular and trendy dining establishments. It’s so much better to hire transportation services for restaurants in New York City. The driver will pick you up from your home or hotel, wait for you while you are dining, and bring you back when you’re finished. The professional drivers of Luxury Transportation Group are highly skilled at performing luxury transportation services for restaurants in New York City. Traveling around cities that you aren’t accustomed to can be frustrating and at times, dangerous. Luxury limo services for restaurants makes your dining experience much more satisfying. Make your reservations with Luxury Transportation Group for luxury transportation services for restaurants in Orlando, Miami and New York City.